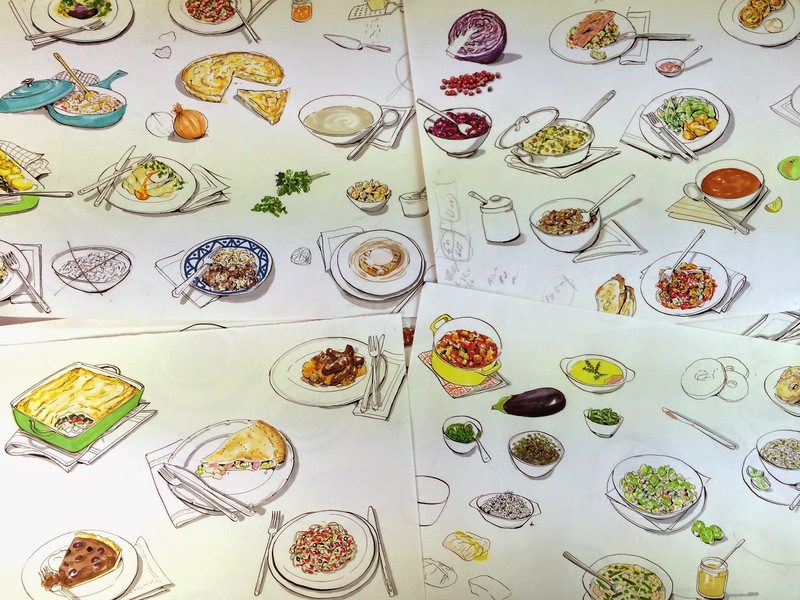 A collection of last months food drawings. You can see the illustrations Monday to Friday on page 2 of the Times London. Recipes by Lindsey Bareham.